Hair transplants have been popular for many years now, creating incredible results in individuals who otherwise would have been left to face the consequences of widespread hair loss. But the technology has now become more diverse and instead of just transplanting the hairs on the scalp, there’s a growing demand for a different type of surgery: beard transplants. 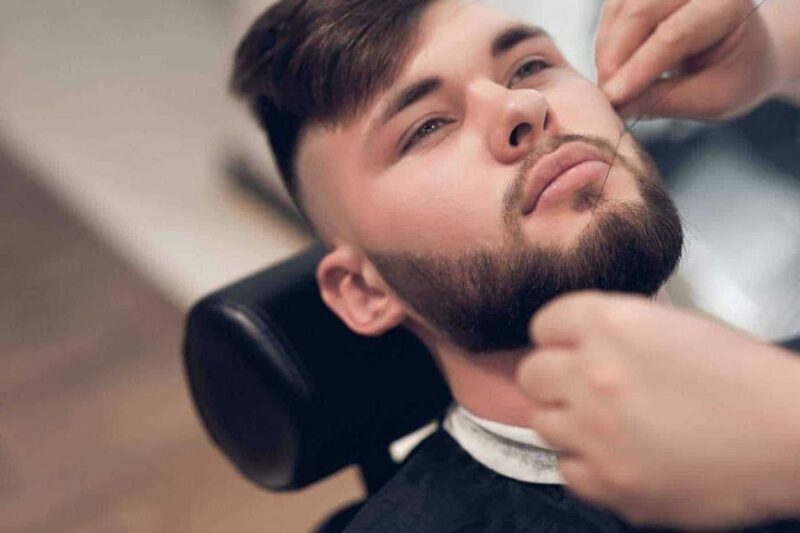 Although a lesser problem than scalp hair loss, more and more men are starting to recognise that they don’t have to put up with a disappointing beard growth and can instead have a transplant. We take a closer look at beard transplants, including what they are and their rise in popularity. The exact method depends on the consultant involves, but hairs are taken from elsewhere – often either under the chin or on the back of the head and transplanted individually into the problem area. A beard transplant is a painstaking business as each individual follicle must be placed one by one, ensuring that each one is lying in the right direction and neither too far nor too close to its neighbour. There are two different techniques that can be used; either FUE or FUT. FUE involves harvesting the follicles and then grafting directly onto the head whilst FUT involves microscopic work on the grafts after they have been harvested but before they have been implanted. A goatee normally requires around 1200-1500 grafts but a full beard needs 2500-3000 grafts. Why have a beard transplant? There are lots of reasons why a man might request a beard transplant and they’re not all to do with vanity. Skin scarring or the inability to grow an even beard are just two of the most common reasons that a beard transplant is requested. For gentlemen from the Middle East, a large beard can also be seen as a status symbol and the inability to grow one can have a very profound impact on their standing in the community. Patchy beards look extremely untidy and those who aren’t able to grow even facial hair can look unkempt and scruffy. A beard transplant provides a far better overall appearance, allowing the individual to look sharp and smart. However, although there are often very good reasons to grown a facial beard, in many cases it is also done for cosmetic reasons alone. And it’s this market which is helping to push up the numbers of men approaching surgeons about the possibility of beard transplants. The desire to have a beard of some kind has arisen from the world of celebrity, with some of the hottest modern stars sporting facial hair. This has led to a rising demand to have the same perfect beard, regardless. A beard transplant has the ability to fill in the gaps on facial hair which is patchy, or fill in bald patches. This can help to disguise underlying scarring or simply provide a sharper, cleaner looking beard line. The procedure itself is relatively painless and recovery from it is short and easy. There’s some small scabbing over both on the site of the harvest and the implants, but this quickly heals, leaving no obvious signs. The ability to use a beard transplant to provide the perfect appearance of facial hair means that men that previously were unable to grow a beard now have the opportunity. However, with such a precise technique required to get good results, it’s absolutely imperative you choose a surgeon with experience in performing beard transplants. This will help to ensure that the implants done are small and accurate and placed with absolute precision to leave you with a beard that is simply flawless.